Started to interest in the video game industry since 2009, thanks to my boyfriend (now my husband). He was actively working on his new project pasmejies.lv, where I saw a lot about the game development. After that, he decided to start a new game project and as a total code guy, he didn’t have a time for content creating, so that was my first game dev related challenge for Hotelis game. All my experience in the game development comes from the self-learning process, by having a chance to develop. In some leisure moments, I’m learning pixel art for the games. Desktop game Bearslayer. 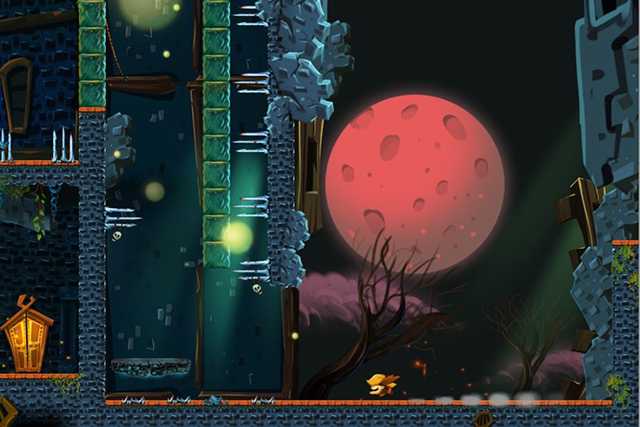 Fast-paced one button 2D platformer arcade game about Latvian epic tale hero “Lāčplēsis”. No matter how fast you are, you will die A LOT. Game designer, level designer (2017, Early Access). Custom made editor. iPad local multiplayer game Runion for up to 8 players on the same iPad. Players can control their characters with controllers located on the iPad, Bluetooth controllers or remote the iPhone controllers and compete in 3 different game modes. In order to smash enemy veggies more gracefully, you can pick up different kinds of bonuses, like boxing gloves, speedup boots, bombs and freezers. Game designer, project manager (2014). Custom made editor. Social game Hotelis. 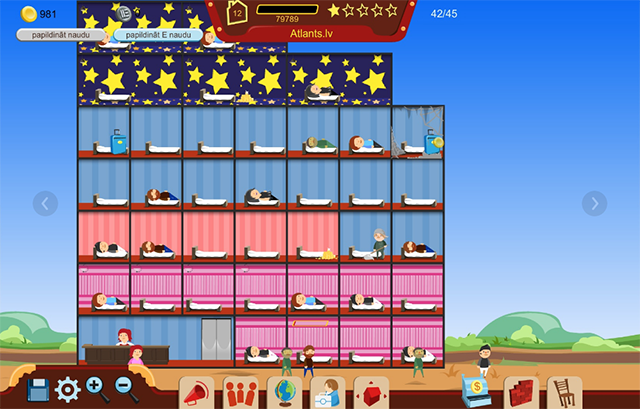 Players design and run their own virtual hotel. They can decorate each room as want and expand it with more and more rooms as guests bring in income. At higher levels more decorations and special rooms are available. 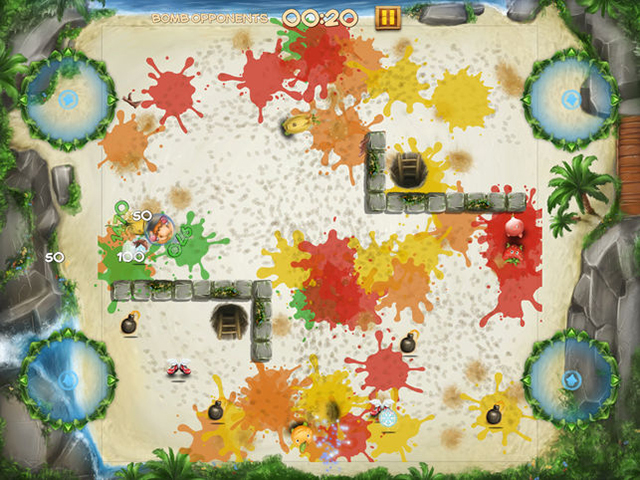 Players can also help their friends by cleaning their rooms from the dust. Game designer, project manager (2010). Custom made editor. No longer available. 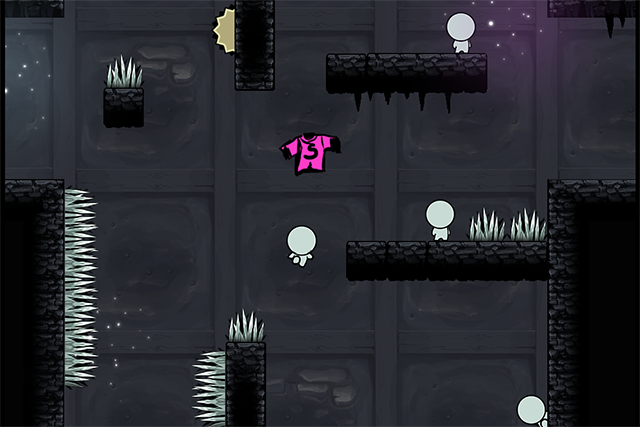 Piece of Shirt Ruby Light special prize in Garage48 Riga 2014 GameDev & Gamification. This was my first hackathon ever and in 48 hours I learned a lot how to cut off thing to make it happen in so short time. In three people team, we created a platformer game. Worked with the Tiled editor.